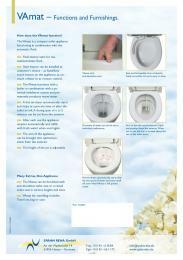 A hygiene plus. 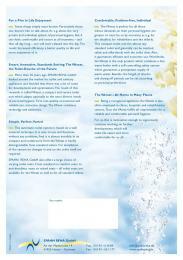 Health and a sense of well-being are attributes that we associate with the modern bathroom, or are at least attributes we would wish for. If your clients don’t have much space, they dread expensive alterations, or don’t want to invest a great deal, more intimate care can be provided with a VAmat® WC douche. 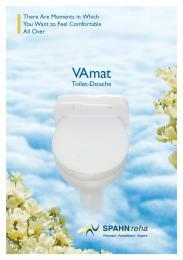 The VAmat® WC douche has a continuous-flow of water heater that provides a consistently warm water temperature. Warm air drying completes the cycle. The operation is run very conveniently via a button on the remote control, using the start button on the housing or by means of foot-operated switch. 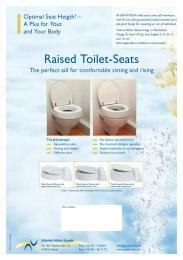 This product fits almost all conventional toilets. 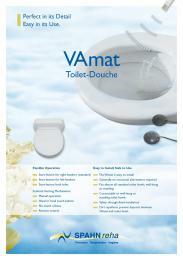 If you would like to know more about our VAmat® WC douche, ask us for more detailed information. 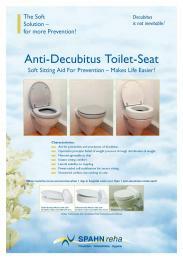 Become a distributor for us in the sanitary field and contact us!